Robot Inc. introduces a unique way of playing a clicker game by not only clicking as many times anywhere you want but also by doing real-world-like activities. Here is our review of the game. Do you ever want to be rich by running your own factories? Because Robot Inc. will offer you that kind of experience by being an owner of a factory that is initially small but eventually becomes really big. 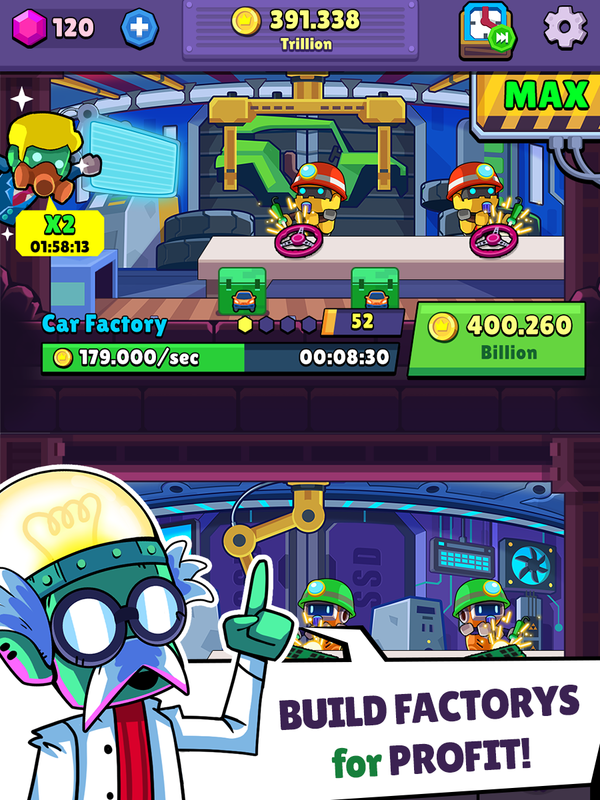 Basically, it is a factory tycoon simulation in a form of clicker game. You start small by opening and owning a Bicycle Factory. Then, you can improve your factory tower by buying and expanding your makers. You can own common stores like Plane Factory to more spectacular maker like Rocket Factory! The gameplay of Robot Inc. is what really makes this game good and unique. When someone hears a clicker game, they might think of “tap to win”. Well, this game is not as simple as that. You need to manage your coin and think where you want to click. There are some situations where you need to upgrade one of your factory and spend a certain amount of Cash. Each of your factory also has a level. The higher the level of the factory, the more profit you will have. But in order to gain level, you need to pay a certain amount of coin. The more expensive the factory, the bigger you need to cash in. 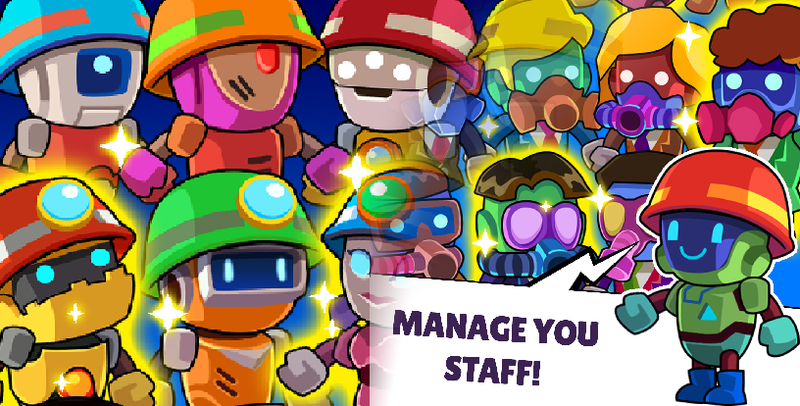 You can also pay a certain amount of coin to hire a factory super boss which can automatically collect your coin from a certain factory. Other than that, you can also pay to gain more profit from a certain factory. 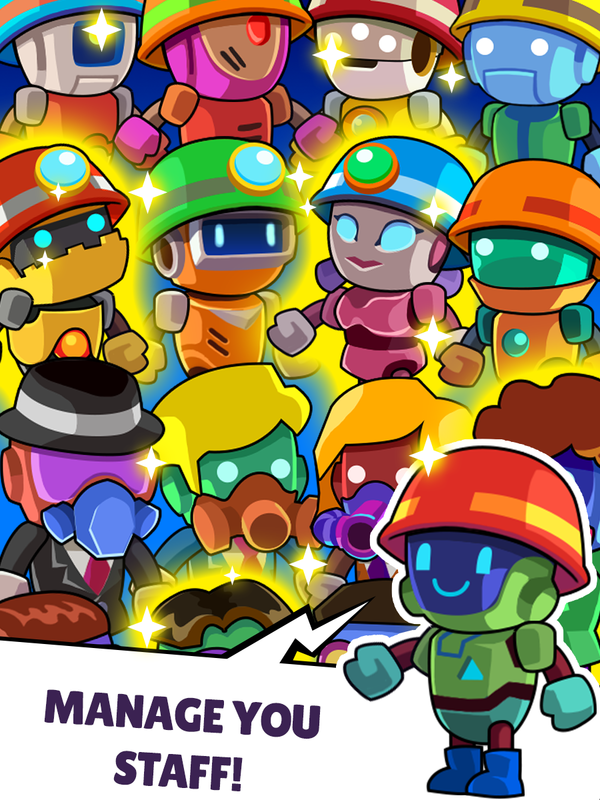 Robot Inc. is probably one of the unique yet underrated clicker games. The varied ways of playing, instead of only clicking like in most clicker games, will get you hooked.